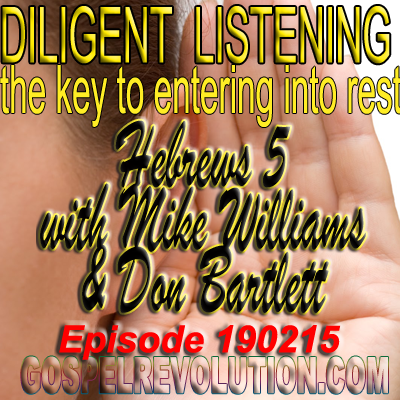 Diligent Listening – the key to entering into rest. This week, Mike and Beres responded to questions and statements from John McLeod, James Gustafson, Vic d’Obrenan and Gordon Dorfer, all of Canada. Mike and Beres also discussed some of the dualistic concepts of other religions, primarily Buddhism.